Predictive analytics and artificial intelligence has changed everything from retail selling and banking to crime prevention and the provision of social services. Automation has allowed manufacturers, logistics firms, retailers, banks, and telcos to reshape processes, reduce costs, and improve efficiency. Multi-sided platforms and marketplaces have upended the transportation, accommodation, home services, lending, and retail sectors. Smart interconnected devices have impacted parking, energy delivery, pipeline management, auto insurance assessments, assembly lines, logistics, retail, and lifestyles. Internet of things (IOT) and sensors promise to interconnect previously unconnected devices, making data truly ‘big data’. Blockchain carries the promise of radically reducing transaction time and costs across supply-chains. 3D printing can have significant productivity gains, but also threaten to eliminate some jobs and the competitive advantage of manufacturing firms in low labor cost emerging markets. Moreover, new technologies such as self-driving vehicles, robotics, nanobots, natural user interfaces, and virtual reality and augmented reality are developing so rapidly that they threaten to disrupt multiple business functions, supply-chains, industries, and whole economies. 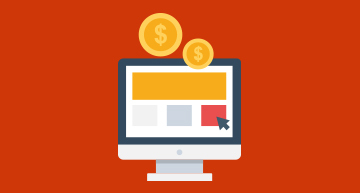 Depending on the market and industry, optimization of front-end IT can increase gross profit from 15% to 35%. This can be done through improved digital marketing, customer targeting, optimized pricing, and new digital services. IT simplification can add another 10-15% through back-end consolidation and reduced costs. Meanwhile analytics enhances tactical and strategic decision making. And it all prepares firms for innovation, new revenue streams, and operational agility. Using our expertise and experience, we have created a framework for firms ready to embrace enterprise-wide digital transformation. We break out core business challenges from new business challenges. This provides for a systematic digital transformation framework that ensures due attention is given to maintaining and creating revenue streams. At the same time, it creates a pathway for becoming digitally ready. Corporate digital transformation also means new ways of engaging customers and generating revenue. We work closely with business-unit leaders, heads of strategy, and IT to identify where and how to best establish digital collaboration platforms for partners and customers. And we help you target high-potential digital plays that leverage organizational strengths. No digital transformation strategy is complete without working digital into corporate DNA. 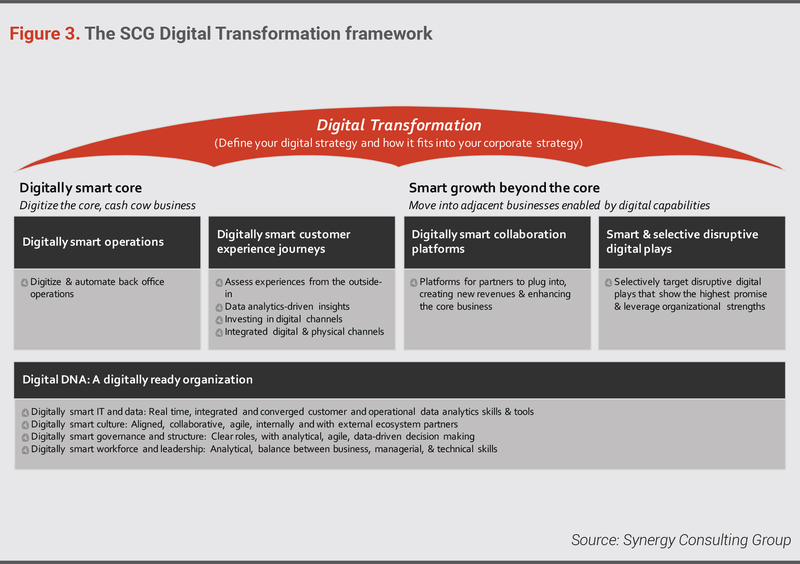 This requires a holistic, enterprise-wide digital transformation approach that incorporates all elements of the organization. IT must be consolidated to connect disparate systems, and APIs created to leverage the firm’s data and systems for enabling third party partners. IT must then leverage real-time integrated and converged customer and operations data and analytics tools. The firm’s culture must be collaborative, agile, digitally savvy, and fully aligned to business and operational goals. Governance models must define roles and deploy data-driven decision making. And the workforce must have the right balance of analytical, business, managerial, and technical skills. (For more on data-driven decision making, visit our analytics services page). While the need to go digital is now urgent, getting there depends on the organization and the market in which it operates. We therefore utilize our Strategy Execution Management process to draw clear lines of cause-and-effect between digitization and business and operational outcomes. The maps enable setting of targets, creation of milestones, syncing of business and operational change, and integration of incremental and big-bang changes.